How I Gained It: I’ve never really been small — not only am I tall, but I also I come from a family of sturdy Romanian folk who like to eat and drink heartily and without remorse. Before moving to the U.S. from Romania in 1998 to pursue a graduate degree, I was about 175 pounds — not exactly skinny, but overall, healthy and an acceptable size. The lifestyle change was drastic and the weight gain was gradual. For one, I discovered Cinnabon, Burger King extra-large fries and unlimited Chinese buffets (all the food you want for $9.99? Well, I’d better get my money’s worth!). The CHEAP! FOOD! EVERYWHERE! combined with a reliance on cars rather than walking (previously my preferred mode of exercise) did me in. 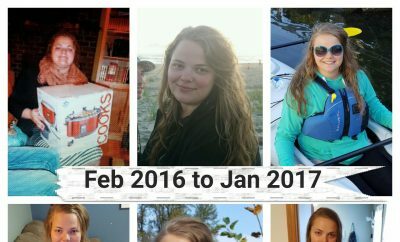 I put on about 40 pounds over the first three years. In 2001, while in Romania for the summer, I lost about 26 pounds on a crash diet by hiking and eating next to nothing. Years later, back in the U.S., while pursuing a doctoral degree, I was miserable and sedentary, spending my days and nights in front of the computer. I also felt starved and stressed, gorging on chocolate and other fattening foods at night while working on my dissertation. 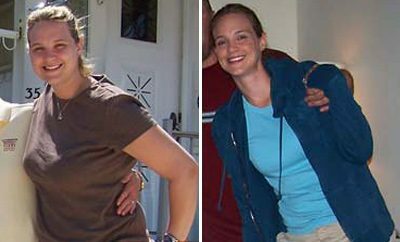 By 2008, I had reached my highest weight: 246 pounds. In 2008, I also became a vegetarian, partly for ethical reasons, partly for health reasons. I had occasional bursts of gym-related activities, which I could never sustain. Until the beginning of 2012, my weight remained high, but stable, at 240-ish, give or take a couple of pounds, despite half-hearted attempts at dieting and exercising. Breaking Point: It all came to a head in January 2012, when, after a routine annual check-up, I was informed I had diabetes and that my bad cholesterol was really bad. My blood pressure wasn’t looking that good either. I was already on a diabetic medication due to Polycystic Ovary Syndrome (PCOS) and was promptly put on more diabetic and cholesterol medication. I was in crisis. I was too young to face the consequences of diabetes and to live with its problems and complications the rest of my life. I had seen what diabetes had done to my grandmother (heart and foot issues, general poor health, untimely death) and was scared senseless. I decided to take drastic action. How I Lost It: The first transformation that occurred was psychological. 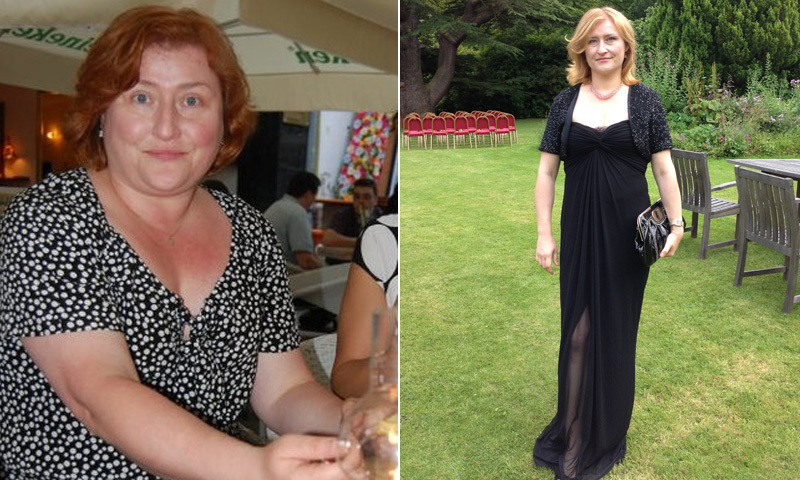 Of course, I wanted to lose weight before the diagnosis: I felt horrible about myself, I knew I looked horrendous in pictures and I constantly had to buy new clothes to fit my ever-expanding girth. But now I was prematurely confronted with the specter of my own mortality — that struck a much deeper chord in me. The next step was education: I read all I could about diabetes and diabetic diets. It was then that I realized that my vegetarianism was lopsided. I had actually replaced animal protein with unhealthy, diabetes-inducing starchy carbs, which had become the cornerstone of my diet. The book that opened my eyes about the error of my ways was Jonathan Bailor’s The Smarter Science of Slim, to which I was attracted because it was solidly grounded in science and rejected all hype. Bailor’s sensible dietary and exercise advice in that book allowed me to make the biggest transformation in my life. My husband, David, was also about 40 pounds overweight and suffering from sleep apnea and food-induced migraines. After a few months modeling our diet and exercise after Bailor’s approach, David’s migraines and sleep apnea disappeared. We eliminated carbs (any grains and sugars) and made sure that most of our meals consisted of non-starchy vegetables (the greener the better), nutrient-dense protein and fruits (preferably berries) low in sugars and high in fiber and water. For protein I relied on egg whites, whey protein and soy-based meat substitutes in which protein content always outweighed carb content. I never skipped meals and always had small snacks in between meals (nuts and fruit usually). I joined a local gym and started going four to five times a week, doing both weight and cardio training (Body Pump and Spinning are my favorites). I never felt starved. I documented my daily food intake and exercise scrupulously on my blog for the first 100 days or so; then, eating like this became a habit so I stopped doing it, but I think journaling is an essential tool in weight loss. 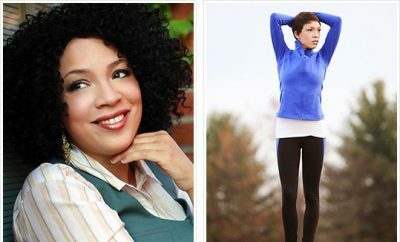 Within three months, to my doctor’s amazement, I had lost 30 pounds and my blood sugar, cholesterol and blood pressure improved. I was even taken off two medications. I continued to lose weight until, much to our surprise and delight, in June 2012, I got pregnant for the first time in my life (which, due to my PCOS and obesity, had been close to impossible for me before). I am now seven months pregnant and have further reduced my blood sugar to below pre-diabetic levels. I swear by my new lifestyle and still go to the occasional Spinning class. I also cannot wait to resume my intense regular workouts at the gym post-partum. My health and my baby’s health are more than worth it, don’t you think?